Why I Love Taking an Acting Class – arts, ink. This semester, I wanted to take some type of humanities course that wouldn’t be too demanding on top of my other fourteen credits. I’ve always enjoyed subjects related to the arts, so it seemed to be a good idea to take a course that would be interesting but also act as a form of creative expression. An acting class, which goes towards the Humanities and RC requirements, seemed like the perfect option. Like many others at U of M, my high school career was a busy one, filled with various extracurricular activities. One of these activities was drama, primarily through my high school’s theater program. Musicals, plays, etc. were a huge part of my life. By being in an acting class, I’ve been given a convenient way to continue doing something that I enjoy. Having a class based on it forces me to keep it in my life without feeling guilty for dedicating so much time to it (at least for this semester). Acting class, for me, is a huge stress reliever. While there are times I don’t feel like trudging to outside rehearsals or spending my Friday nights memorizing lines, drama is an escape from everything else that is going on. I can walk into the theater and immediately become immersed in the story at hand. For a moment, my worries melt away as I turn my attention towards the director and other actors. Rather than thinking about the upcoming midterms or essays due dates, I can focus on developing a character and making the scene come to life. In my acting class, there are no specialized auditions, no ensemble characters, and no hiding in the background. Everyone is thrust into a role that’s been assigned and encouraged to step out of their comfort zone. There is a sense of vulnerability as classmates – and eventually audience members – see you portray emotional or outrageous characters. In my class’s production of Love and Information last Saturday, I had the opportunity to play a series of characters (which I’ll talk about more in my next post). In our next project, I play a girl with a stutter who is remarkably kind, naive, and humorous. In this class, I’ve had the opportunity to portray both sensitive and comedic characters that don’t always follow the basic typecasting based on appearance or demeanor. Many other students hold similar experiences in taking on different roles within our class. My peers represent a diversity of majors and have varying skill levels when it comes to acting, but have stepped up to the challenge in building characters and their unique story lines. 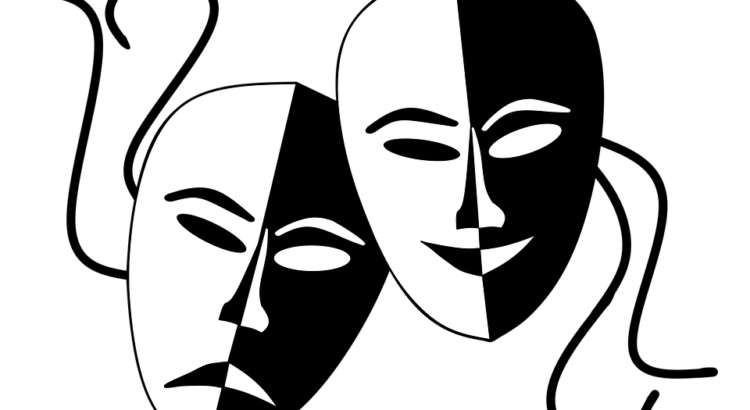 While many people are taking the class because they enjoyed participating in plays or musicals in high school, there are other students who’ve never set foot on a stage before. In addition to the personal benefits I’ve received in taking this class, it’s been amazing to see several people discover a new passion, and I’ve loved seeing everyone in general continue to develop in confidence and communication skills.